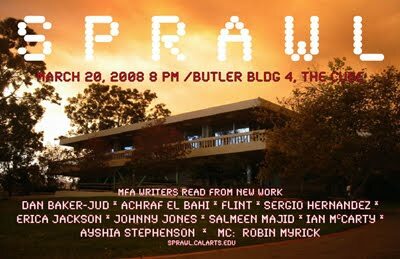 Poster for April 2008 SPRAWL reading at CalArts. Photograph of CalArts during 2007 fires by Mauricio Lomelyn. Another version of this poster was selected to represent the School of Critical Studies and MFA Writing program in a display case just outside the Cafe at CalArts.